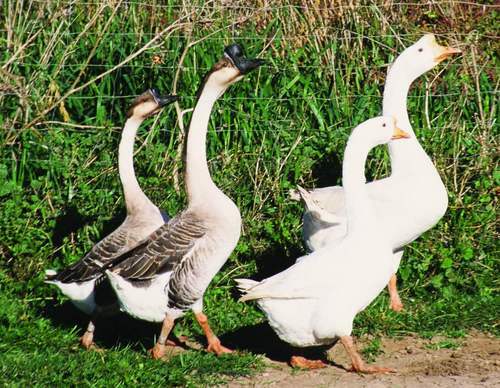 The Brown Chinese goose is smaller than the White with identical coloring to the African goose. 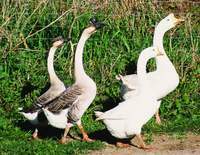 Chinese geese are a more "talkative" breed of goose. Due to this characteristic, they are the best breed if you want to be alerted to intruders. They will average 9-10.5 lbs. The brown chinese are poor setters and mothers. The geese are not sexed. They are sold as st run only.